Very good book. I also read Winter Sun and enjoyed the one. A lovely story of finding how to live with loss and not feel alone. I like the humor and engaging story. A good read, although not as full of mystery as Marianna, but I did enjoy it. The ending and some of the reasoning left me a bit confused but I suppose that's why it's called Fiction. Enjoy! I thought at first this book was going to rip my heart with the opening. Ok, it did a bit after just losing my Mom. But keep going! 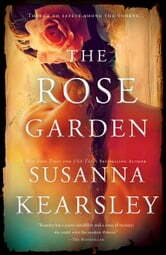 I love historical novels, and I love a well told story. Where this is light on actual history (without the story suffering, mind you), it is well told and you can feel the presence of the characters as they enter and leave the stage. Susanna's leading male characters are well thought out and very complementary to her leading ladies. Well done on an excellent read! Note to author: read your comment about g-rates love scenes. Thank you! Havers, woman, if we needed it spelt out we'd go read Dime store bodice rippers!